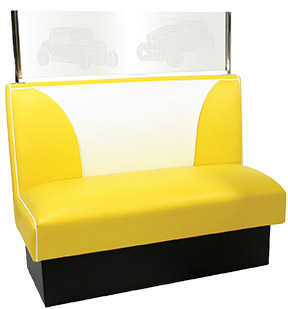 Represents a fully upholstered booth of classic design. 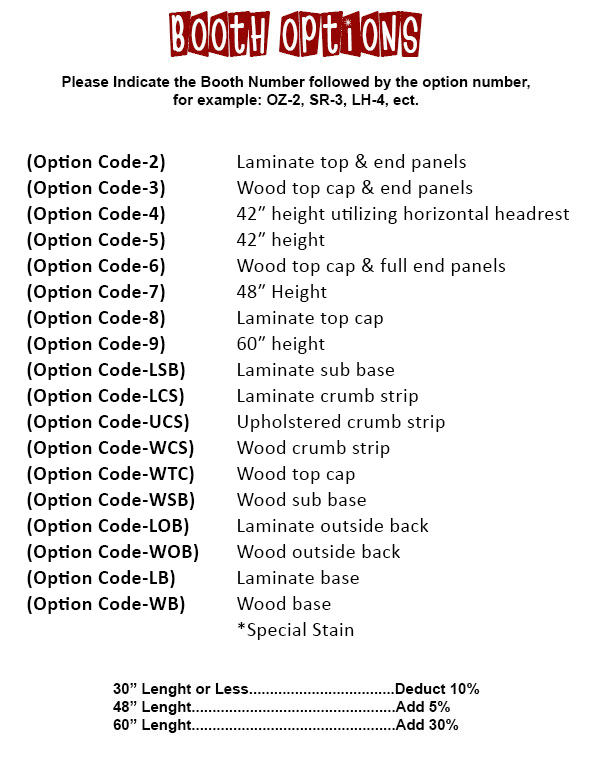 "Elite" back with the choice of the high enclosed base (standard) or the optional high pedestal design. No charge for contrasting "Elite-V" and welt in same grade. Standard 36" height.